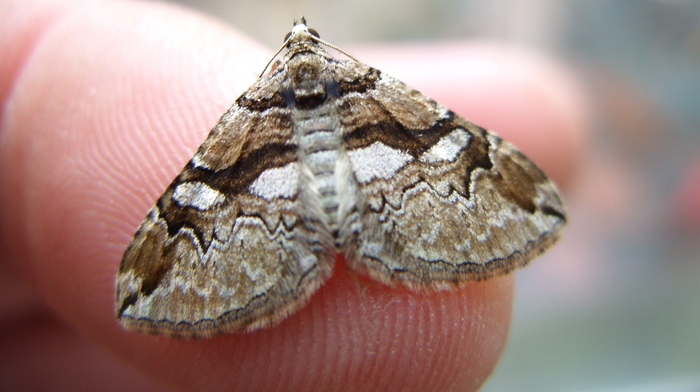 The delicately patterned Barberry Carpet moth is one of England’s species most at threat of extinction, but its conservation could risk helping a devastating wheat disease to re-establish. The Barberry Rust Explorer (BarbRE) program, a citizen science project being launched in Norfolk on 3rd April 2019, aims to see how the moth’s host plant common barberry (Berberis spp.) can be managed to secure the future of this rare moth. It also seeks to better understand the life cycle of the stem rust pathogen to protect cereals from future outbreaks. Dr Diane Saunders from the John Innes Centre explains that wheat stem rust (Puccinia graminis f. sp. tritici) has the potential to infect 80% of the current UK wheat lines. It was thought to have been eradicated until 2013, when it was discovered on a single wheat plant in a field in Suffolk – the first sighting for 60 years. Although no further infections have been recorded in the UK, increased incidence of wheat stem rust disease in Western Europe since 2013 is worrying as most of our wheat species are susceptible. Dr Saunders says: “Barberry helps the overwintering cycle for wheat stem rust. At the end of the crop season, stem rust can produce hardy teliospores that germinate in the spring and infect barberry. The barberry bush acts as a seasonal bridge and source of inoculum. As a result, the shrub was largely removed from hedgerows and this was thought to have broken the disease cycle. This project will ultimately provide a better understanding of the potential disease threat and help protect our wheat crops, while finding ways to manage conservation of the threatened Barberry Carpet moth. Mark Parsons of Butterfly Conservation comments that BarbRE is a good model for how volunteers, conservationists, scientists and farmers can work together to find solutions to environmental issues. More details about the BarbRE project and the launch meeting – at 18.30 on 3rd April 2019 at John Innes Conference Centre, Norwich Research Park, Colney Ln, Norwich NR4 7UH – can be found on the website barbre.co.uk.